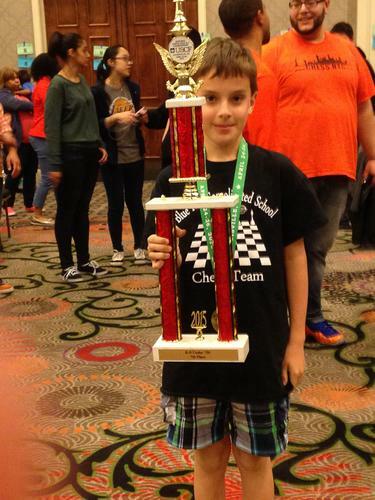 The Blue HIll Consoldiated School chess team traveled to Louisville, Kentucky for the National K-9 Junior High Scholastic Chess Championships on April 24 to 26 and came home with a second-place trophy. 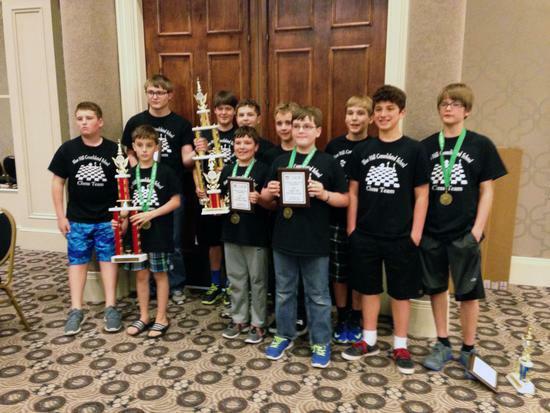 The BHCS trophy-winning chess team. 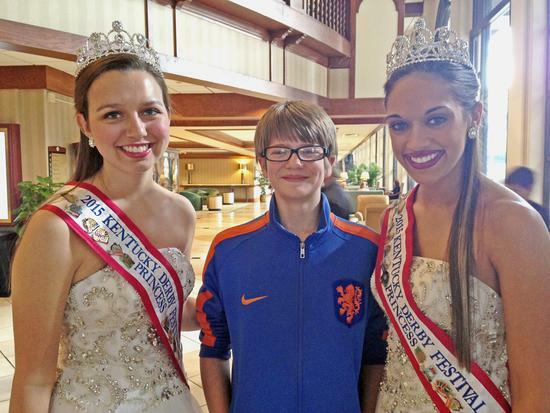 Sam Parrott poses with Kentucky Derby Princesses. Ross Stewart scored a team-high six points.